Let’s not kid ourselves. Much Italian Pinot Grigio is about as exciting as Smartwater. It’s too often a flimsy little summer cottage of a wine, no more memorable than that last cute puppy post that just flew by on Facebook. However, there are interesting renditions of Pinot Grigio that are worth seeking out. Still, I can’t think of another wine that requires more discrimination. Don’t, for example, be hoodwinked into spending $25 for the planet’s most popular Pinot, Santa Margherita. Not only is it overpriced, it’s also mass-produced and … well, just not very good. But, by being selective and not instinctively reaching for the prettiest bottle on the rack, you can find Pinot Grigio that is worth your hard-earned wine coin. Italian Pinot Grigio, which is the same grape used to make Pinot Gris in places like Alsace and Oregon, bears very little resemblance to the big, broad Pinot Gris wines from France, Germany and America. So, don’t be surprised when your sommelier sneers a little at the bottle of Italian Pinot Grigio you just ordered. You’ll just need to come to terms with the fact that Pinot Grigio is much maligned by wine snobs. “Inoffensive” is often the best thing you can say about it. So, why am I bothering to write about Pinot Grigio? Well, because not all of it is swill. In Italy’s Tre Venezie, for example, there are small producers of Pinot Grigio making bold, intense wines. Some of the best producers include Marco Felluga, Renato Keber, Ronco dei Tassi, Jermann, EnoFriulia, Tenuta and Pierpaolo Pecorari, to name a few. Mostly though, Northern Italian Pinot Grigio tends to be light and bright, with subtle tangerine and white peach flavors. It pairs well with white fish and seafood dishes, goat cheese, salads and cold chicken. A Pinot Grigio rule of thumb: You usually get what you pay for. Inexpensive Pinot Grigio from Italy tends to be crisp and light, fairly neutral in flavor. However, the more you spend, the more interesting things usually get. As the price goes up, the intensity and body of the wine usually follows. More expensive Pinot Grigio is usually, but not always, bigger, rounder and loaded with citrus fruit flavors and good minerality. A fine example of the latter is Marjan Simcic’s stunning Pinot Grigio ($19.06); it’s unlike any Pinot Grigio you (or I) have ever had. In fact, the first time I tasted it, I wasn’t convinced that it was Pinot Grigio. Simcic’s vineyards straddle the Italy/Slovenia border, are 100 percent organic and are completely distinctive. His Pinot Grigio is much heavier in body—almost viscous—than you’d expect, and the nutty flavors linger on the tongue for eons. Another Pinot Grigio that’s bolder than most is Tiefenbrunner ($15.99). Don’t let its pale yellow color fool you; this isn’t another insipid Pinot. In fact, it’s creamy and full-bodied, thanks in part to aging in wood barrels, with a floral bouquet and ripe pear flavors. 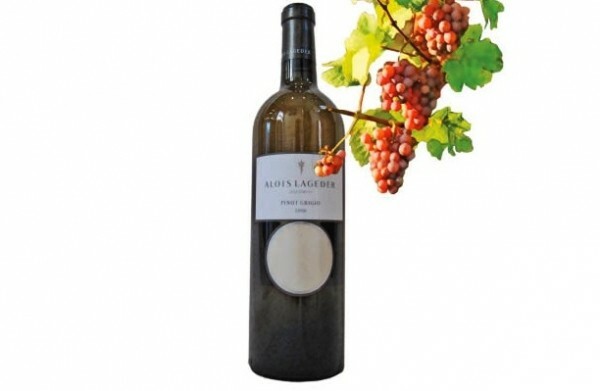 I’m also a fan of Alois Lageder Pinot Grigio ($15.99), from Alto Adige. This is a very interesting Pinot Grigio: slightly smoky and spicy, with floral aromas and a rich mouthfeel. It’s excellent with cold chicken in a picnic setting. The slogan behind Giovanni Puiatti Pinot Grigio ($17.47) is “Save a tree, drink Puiatti.” That’s because no oak touches Puiatti wines. And so, this Pinot Grigio is vibrant, with good acidity and sharp citrus flavors, along with pear and apple notes. Puiatti Pinot Grigio can serve as a nice aperitif or is great paired with chilled shellfish like shrimp and crab.